Researchers have found that as cities become more dense, economic opportunity increases and people spend smaller percentages of their income on housing and transportation. Additionally, residents in less sprawling cities tend to be safer, healthier, and live longer than residents in cities that are more sprawling. By retaining more of our city’s population in Jefferson County, we can ensure that Louisville is a competitive city in the future. 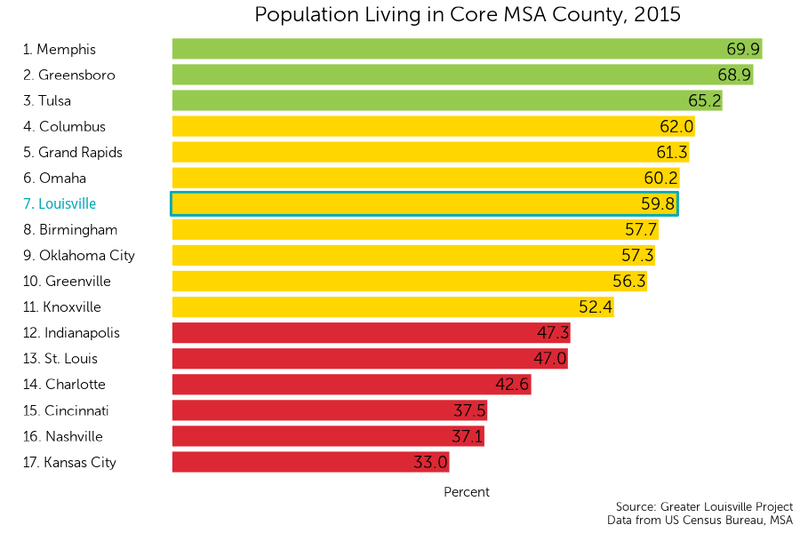 Louisville currently ranks 7th among its peers in percent of the population living in the core metropolitan statistical area (MSA) county, with 59.8% of the population of Louisville’s MSA living in Jefferson County, Kentucky. According to the U.S. Census Bureau, a metropolitan statistical area is a core area with a substantial population nucleus together with surrounding communities that have a high level of economic and social integration with that core. 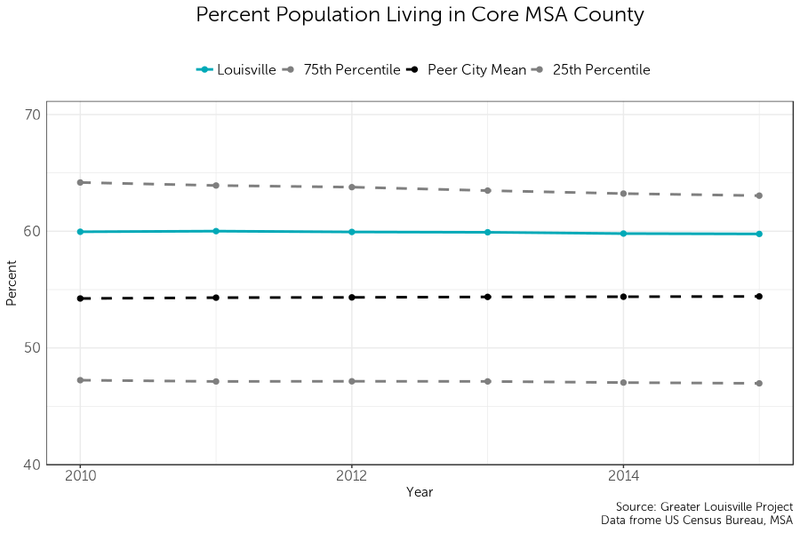 The percent of Louisville’s MSA population has remained nearly constant since 2010. Louisville’s near constant rate has been consistently higher than its peer city average.